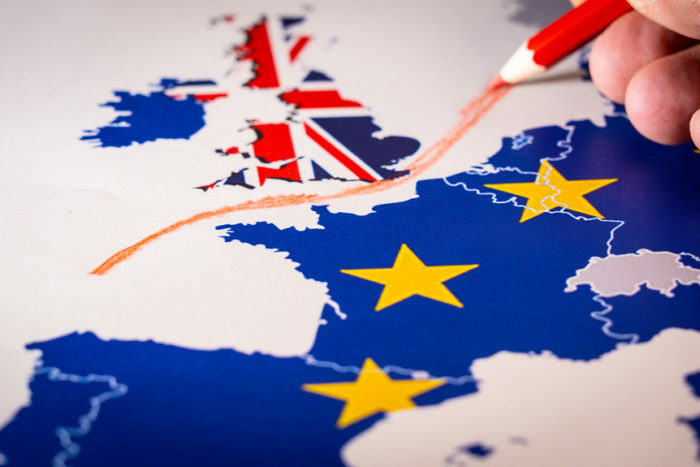 On March 29, 2019, two years after the referendum to leave the European Union, the UK is scheduled to formally leave. The date may yet be extended since the two sides are no closer to resolving the terms of the UK’s departure today than they were the day after the vote. Currently it looks likely that the separation date will arrive with no new legal and commercial relationships in place between the EU and the UK. But regardless of when the break happens, separating from the EU has implications for the availability of talent in the UK. Over two million EU nationals currently work in the UK, and over a million Britons work in other European countries. EU nationals are already starting to leave the UK at a record rate — about 132,000 left in the last quarter. All proposed deals with the EU have been rejected or voted down in the UK parliament. If no agreement (a hard Brexit) is reached between the EU and the UK, as is looking increasingly likely, then things could get pretty chaotic. British expats living in the EU may be forced to return home, unless they receive work visas. EU nationals may leave in even bigger numbers because of uncertainty around their status to work. Many are being incentivized by their home countries to come back. Manufacturing and services will be the most affected since these employ the most EU nationals. Currently, EU nationals can enter the UK to work or seek work without needing a visa or work permit. But the government has proposed that these freedom of movement rights end following a transition period that concludes at the end of 2020. Concerns over immigration were a key driver of the vote to leave the EU. The Prime Minister, Theresa May, has duly said that ending freedom of movement is the top priority after Brexit, with a goal of reducing immigration from the EU by 80 percent. She prefers allowing only skilled workers, with no limits on numbers, to come to the UK, and severely restricting the immigration of low and unskilled workers. The plan is to extend the UK’s points-based immigration system to EU nationals, denying them the preferential treatment they receive at this time. The points-based system does include a category of visas for low-skilled workers, but the government has never allocated any such visas, and post-Brexit plans call for allowing employers that rely on low-skilled labor, e.g. in construction, to hire temporary short-term workers for up to 12 months, but only if they come to the UK without a family or dependents. UK employers are increasingly reliant on foreign skills for manufacturing sector and supply services in the rest of the economy. A survey found that among employers, a quarter to a third of all employees came from the EU. Losing even a small proportion of those and having restrictions on getting more will affect most industries. Worst affected will be the hospitality industry, which relies on large numbers of low-skilled workers, substantial proportions of which are from the EU. A lack of workers in manufacturing could push many firms to move production outside the UK. The already struggling National Health Service could face even more problems since it employs about 160,000 EU nationals. With unemployment at 4.1 percent, the economy is near full employment. The labor-force participation rate, at 79 percent, is at an all-time high. Like most developed countries, the UK also has an aging population and a declining birth-rate which is already below the replacement level needed to maintain the population. As a result, the supply-demand gap for talent is widening. There are about 848,000 open positions in the UK. Barring immigration, it’s difficult to see where workers will come from. The terms of the treaty that formed the EU are designed to make it difficult to break away, with the goal of dissuading member states from leaving. That, apparently, was not well understood before the referendum. But now, with the end date just a few months away, it appears the UK is not well situated to deal with the aftermath when it comes to labor supply. Employers have limited options — they can pay more to hire away employees, spend money on upskilling current employees, or implement automation. All of these are already happening but many will just have to do without. Regardless of how Brexit occurs, recruiters will be challenged with filling jobs for years.